Road tests check your driving skills in the vehicle and in traffic. You will be tested on your ability to follow the rules of the road and safe driving practices. The Level One road test deals with basic driving skills. The Level Two road test deals with more advanced knowledge and driving skills. Your performance in each of the tests will tell you whether you need more training or practice. 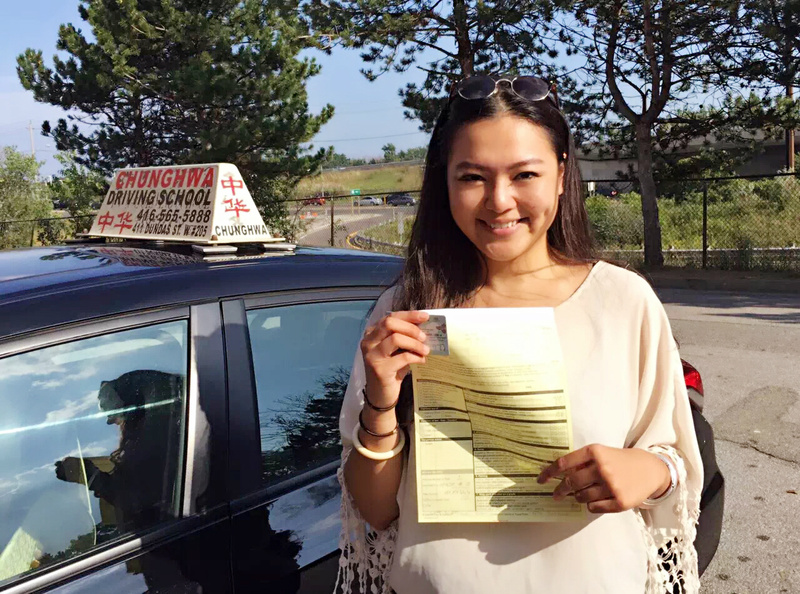 When you feel qualified to drive safely and confident enough to take your road test, contact the Road Test Booking Call Centre to schedule an appointment. If you are unable to keep the appointment, call the Road Test Booking Call Centre or go online to cancel your test. If you fail to attend or you cancel your appointment without providing at least 48 hours notice, your prepaid road test fee will not be refunded. You must bring the appropriate vehicle to each of your road tests. Make sure it is in good working order and you feel comfortable driving it. Bring your current licence to the appointment. If you are a Level One driver, an accompanying driver must come with you to the test centre. If you are a Level Two driver, please be prepared to take alternate transportation home in case you fail your road test and are unqualified to drive. No pets or passengers other than the driver examiner are allowed in the vehicle during a road test. All road tests have a set time frame. Before you begin your test, the examiner will inform you of the amount of time you have to complete the test. You will not be asked to do anything illegal during the road test. The examiner will explain the test, and you should follow her or his instructions. The examiner is not allowed to coach you during the test, so if you have any questions, ask them before you begin. While the Level One road test checks your basic driving skills, the Level Two road test is much more demanding. You should learn the proper driving skills as soon as you become a Level One driver so you can get as much driving experience as possible before taking the Level Two test. For the Level Two test, you must demonstrate a high level of driving skill and knowledge. You will also have to show that you can drive well on a freeway or high-speed highway. While you are taking the test, the examiner will be watching to see how well you control your vehicle and perform such driving tasks as starting, stopping, turning, parallel parking and three-point turning. The examiner will check your observation skills, including when and how often you use the mirrors, where you look, and how you respond to traffic, signs, pavement markings and possible hazards. You will be tested on how well you manage the space around your vehicle, your ability to make safe lane changes and how closely you follow and stop behind other vehicles. How you communicate with other road users, using turn signals and brake lights and making eye contact with other drivers and pedestrians, will also be noted, as well as the correctness of your driving decisions, such as knowing when to yield the right-of-way. At the end of each test, the examiner will give you a complete report of your skills and explain any mistakes you have made. If you fail the test, the report will show you where you need to improve. When you have had more practice, you can make an appointment to take the test again. You must wait at least 10 days between tests. Applicable road tests fees will be payable.